Your desire to reach financial independence with certainty and tax efficiency. Your desire to recruit, retain, and reward key employees for their hard work and dedication. Your need to be equitable in the business you built with your partner. Your hope to leave a legacy within your family or community after you are gone. That while you are busy taking care of everyone else in your life, he can help take care of you. Derek Ferriera is committed to understanding your situation and customizing a comprehensive exit and financial plan to help achieve your goals. Whether you are a business owner, an executive, the bread winner of your family or a company ready to go public, Derek and his team can help you translate your goals into action steps. Derek is a motivating catalyst to take the words from the plan into immediate action. Derek brings over 30 years of experience to his clients. For many of the 30 years, Derek also coached and developed financial planners to help build successful practices. This provides Derek the depth and breadth of financial planning strategies that will optimize the various objectives his clients desire to reach. His experience on thousands of cases provides his clients the benefit of knowing that their plan will run through multiple design sessions before the appropriate options are presented to the client. 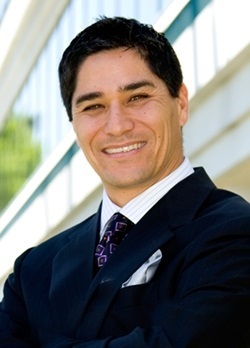 As a graduate of Cal Poly State University, San Luis Obispo, Derek began his career in 1984 spending time with John Hancock and more recently with C Solutions. Prior to 1984, Derek worked for a nationally known real estate syndication firm running a 200+ unit garden apartment development. Derek has lived in the Bay Area for many years and enjoys sports, music, and travel. Derek and his wife Karen currently reside in Morgan Hill and have two children, Andrea and Alex, two dogs and two cats. As a partner in Equity Strategies Group, together with the members of our staff, Matt has the experience to help solve complex financial problems, the resources to keep you informed as worldwide economic forces change and the commitment to provide advice that makes a difference. As a Business Intelligence Specialist, Matt's job is to help business owners, professionals, executives, and retirees through the ever-changing maze of estate, business transfer, retirement and investment problems. Each of Matt's individual and business clients have unique needs. His primary role is to understand your situation, then provide you with the information, advice, and solutions you need to make the best possible decisions about your financial future. Working with you, he'll focus on your needs and goals. After analyzing your financial situation, he will develop a range of planning strategies for you to consider. Where appropriate, these specialized strategies can include a variety of both insurance and investment recommendations. Once you decide on a direction, Matt will collaborate with your other advisors to implement your plan to ensure any gaps in planning and identify potential missed opportunities in a coordinated effort that benefits you. This comprehensive strategy has helped many of Matt's clients get from where they were to where they want to be financially. It has also helped him earn their trust and confidence, which is what Matt strives for as a financial professional. Matt graduated from Santa Clara University, with a BS in Political Science, pursuing the Pre-Law emphasis. 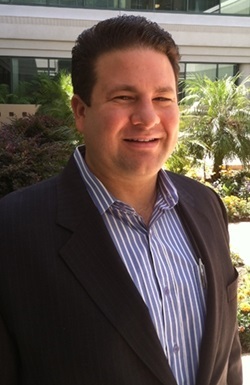 In 1997, Matt interned at Everen Securities, then continued full time post graduation. In 2000, Matt decided to pursue the field of comprehensive financial planning to help with affairs surrounding his family’s business, joining C Solutions to head the investment arm. Matt became one of the youngest Certified Financial Planners in the county and continues to lead the firm in teaching advisors, CPAs, and attorneys sophisticated concepts. Originally from Sacramento, Matt now lives in Los Gatos, CA with his wife, Kristi, and two kids, Lauren and Joseph. Matt, an Eagle Scout, enjoys sports, outdoors activities, flying, going on walks with his two dogs, and the occasional philosophy book.